Give your look some cool vibes with this denim jacket. 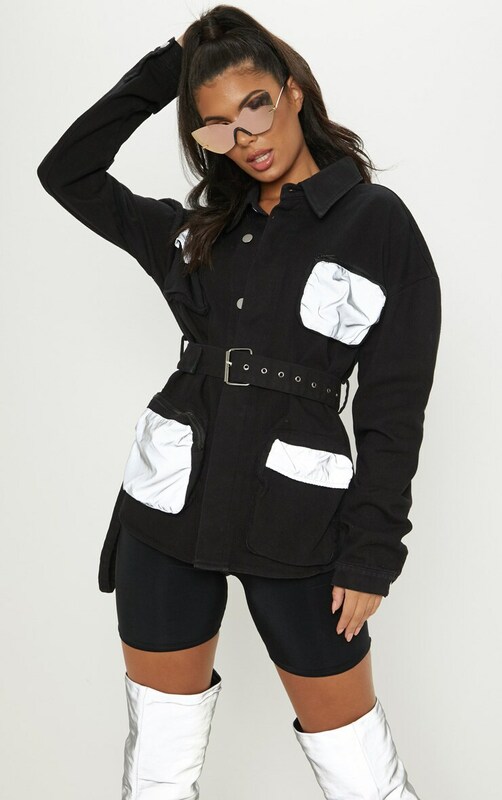 Featuring a black denim material with reflective pockets and a waist belt detail. 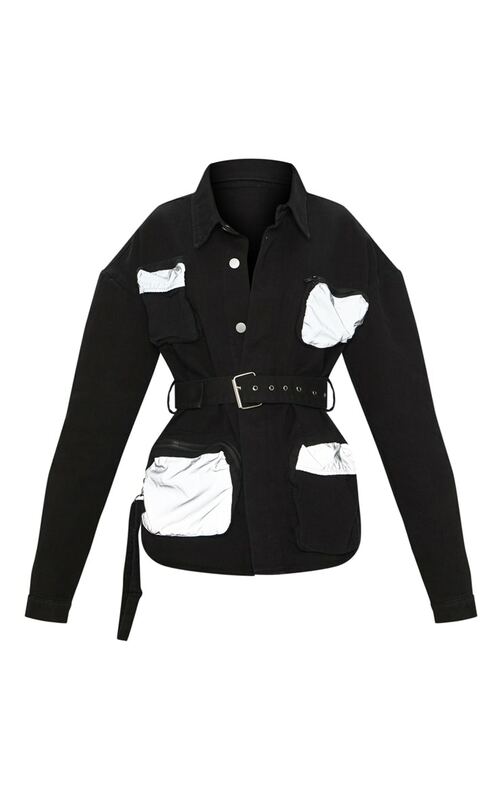 Team this with cycling shorts and thigh-high boots for a look that will have all eyes on you.